You won’t find us in full costume in the office today, but that doesn’t mean we aren’t getting into the spirit of Halloween. 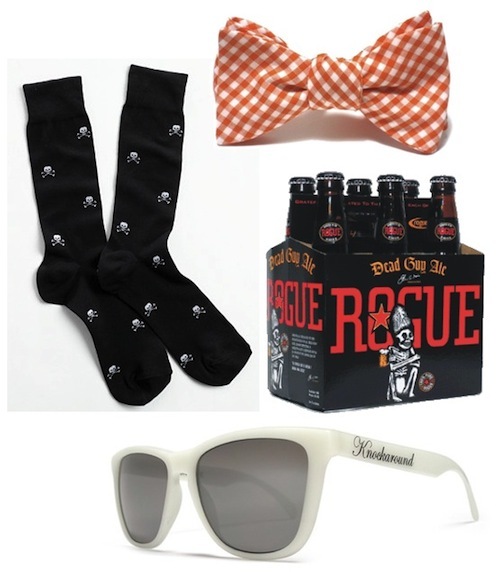 In lieu of a costume, we’ll be breaking out a few small things that seem to fit the occasion quite well. Around here, the early voting stations have already opened, and we’re happy to report that each time we’ve driven by there have been lines out the door. Regardless of who you are voting for next week, we can’t urge you enough to get out there and cast your ballot. 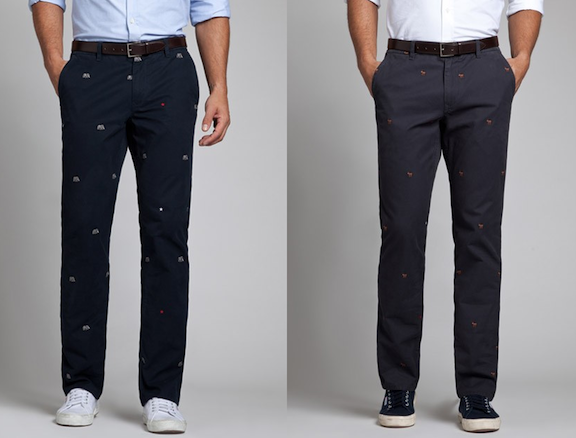 If you want to make sure everyone knows who you’ll be hoping to see in the oval office for the next four years, you might want to go ahead and get your order in for a pair of Party Animals from Bonobos. Just a small reminder that there is still plenty of time to get your entries in to win a 1/4 Zip Pullover from Salmon Cove, and a University Oxford from Pennington & Bailes. A couple weeks back, we mentioned that we’ve been on the hunt for some loafers that are a bit different than the norm. Well, we’ve found another pair that fits that bill perfectly, and have a feeling that it’s only a matter of time until they’re added to our rotation. 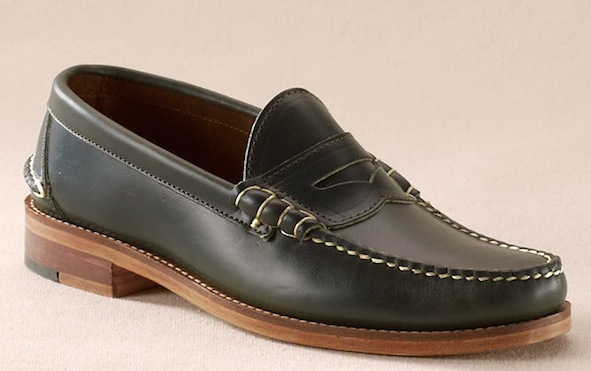 Take a look at the Olive Beefroll Penny Loafer by Oak Street Bootmakers made exclusively for Canvas Lands’ End. 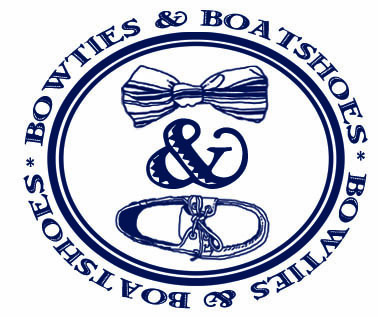 For the most part, our sporting interests are pretty similar here at Bowties & Boatshoes. We both pull for the Ravens on Sundays in the Fall and Winter, the Orioles all summer long, and enjoy a round of golf whenever we can find the time. However, on Saturdays in the Fall we have quite different views on the world of sports. See, Ben is a Florida Gators fan, and Ryan is a proud UGA alum. Though we’re both huge fans of the World’s Largest Cocktail Party, our allegiance falls on opposite sides of the field come kick off. 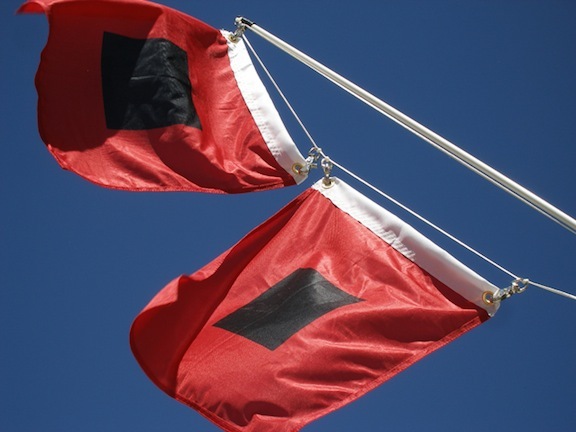 This year, we’re celebrating the Georgia/Florida rivalry with a fantastic giveaway from our friends at Pennington & Bailes. 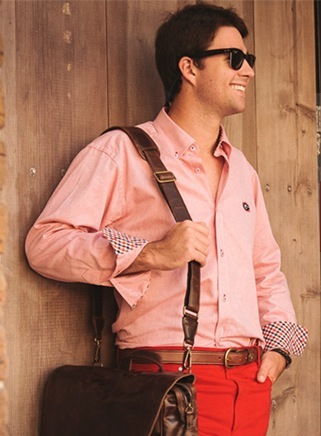 One lucky Bowties & Boatshoes reader is going to win one of their just released University Oxfords. This time of year, we always ramp up our searches for wool bowties. Luckily for us, it seems like more and more companies are incorporating them into their Fall/Winter lines, and there are a number of solid options out there right now. One that we are really impressed with comes from an up and comer based in Atlanta, Mast-Mcbride. 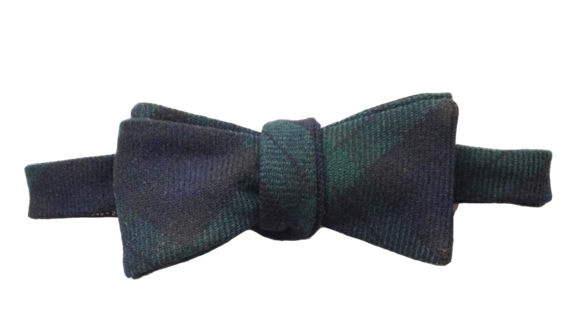 Their Navy Tartan Wool Bow is sure to be a great addition to any bowtie collection. 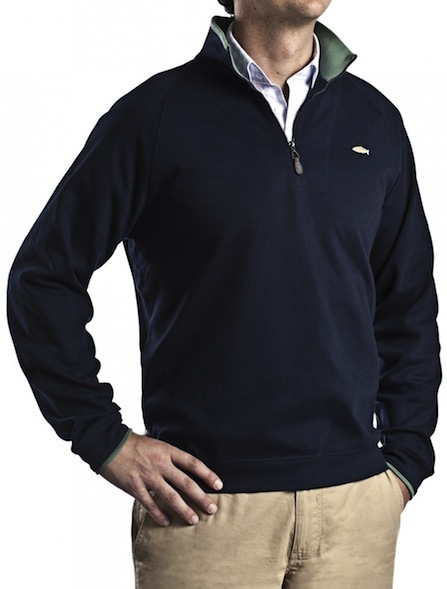 Whether you are looking for an extra layer to take the chill off during an early round of golf, or something to throw on over a sport shirt and khakis for your dash to the office, a simple quarter zip pullover always seem to come in handy. To be honest, the quarter zips that are in our current rotation have seen better days, and we were pretty excited when our friends at Salmon Cove mentioned that they would be releasing their own. You should be excited too, because the gents from Chicago are going to be giving a lucky Bowties & Boatshoes reader the pullover of their choice. We’ve been spoiled with some unseasonably warm weather here in Annapolis for the last few days, but, to be honest, we’re looking forward to some lower temperatures. Sure, our tune will probably change once things get really cold, but for now we’re enjoying weather that doesn’t call for too much more than a jacket or sweater. 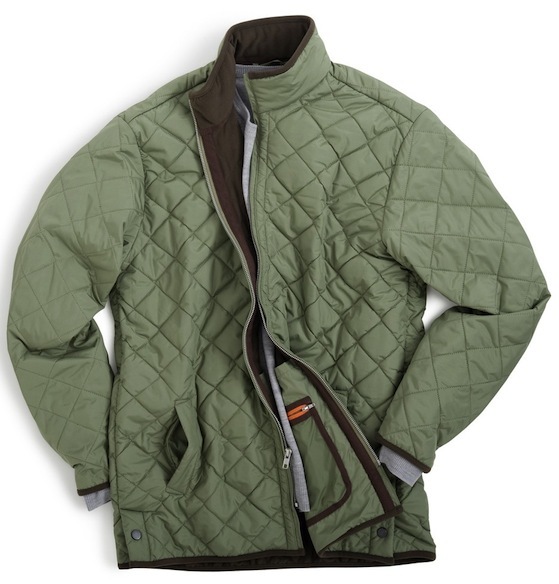 In fact, we’d be okay if the heaviest thing we had to put on for the next few months was the Chesapeake Quilted Jacket from Peter Millar. Everyone has a place that they consider home. Maybe it is where you live now, maybe it is where you were born, maybe it is somewhere in between, or maybe it’s a few places all at once. Regardless we all have that place that will always hold a special spot in our hearts. 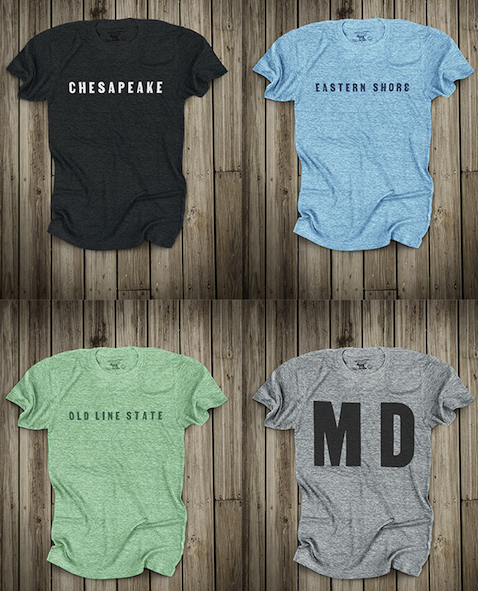 If your “home” is somewhere south of the Mason Dixon, odds are one of the shirts in the recently released Everybody’s From Somewhere collection from Old Try is going to strike a chord. When your dry cleaner calls you out for having too many shirts of the same pattern you can look at it one of two ways. Either they are absolutely correct and you need to diversify, or you have found something that looks so good that there is no reason not to have the same print in multiple colors. We’re going to go with the latter when it comes to gingham. In our opinion, you can never have enough. 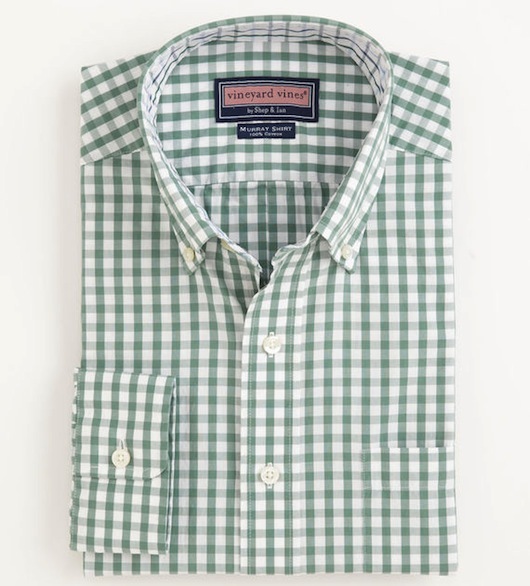 In fact, this Fall we’ll be adding to our collection thanks to the Vineyard Gingham Murray Sport Shirt by Vineyard Vines.